English designer, writer, restauranteur, and retailer Sir Terrence Conran can now add home audio connoisseur to his list of other occupations with the new formation of Conran Audio. The company is releasing its first product this month, the above Bluetooth-enabled iPod dock. While functioning as a traditional iPod dock, the device also has the ability to stream music wirelessly from the user’s iPod, iPad, or laptop, as well as from other Bluetooth-enabled devices. The dock uses new apt-X coding technology for high-quality audio over Bluetooth and rotates for both vertical and horizontal viewing. A small but clever design element, the dock’s remote fits snuggly into a spot on the side of the device, never to be lost again. 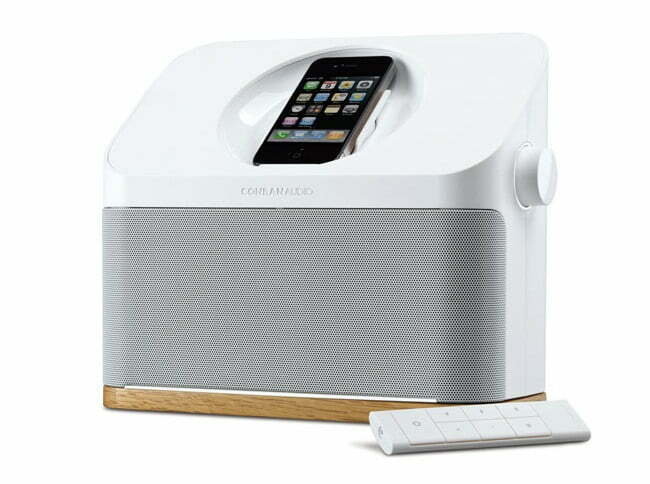 The new Conran Audio iPod dock (about $340) will be available in Apple-addict clean white and shiny, sleek black. Sprint to unveil new dual-screen Android phone today?